Is your organization already GDPR proof? 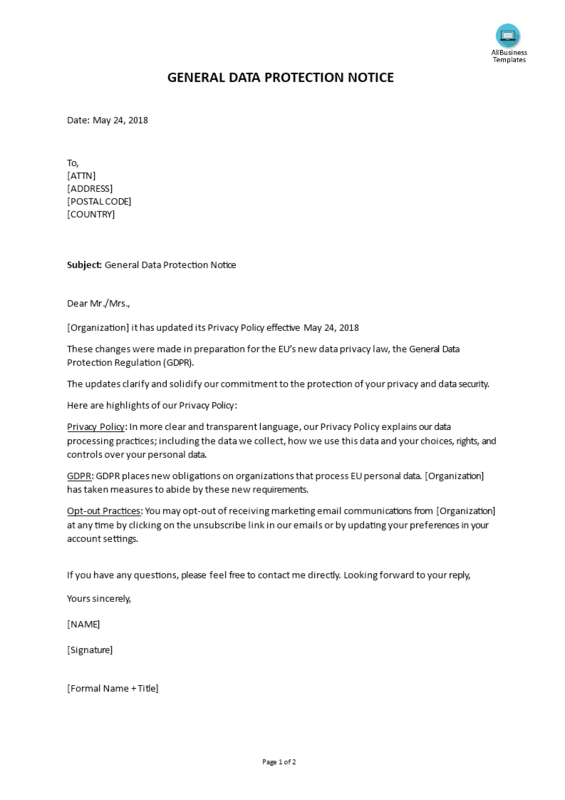 Are you looking for this GDPR General Data Protection Notice which clarifies the Change of Privacy Terms that you implemented? Download this GDPR Email Notification Change Privacy Terms now or check out our fit-for-purpose GDPR Complete Compliance Kit templates here! The document(s) will be available to download immediately after purchase.